Why Africa should be on everyone's bucket list - FBI Travel - Holiday Tailored holidays - luxury travel - holiday packages - club med - cruises. At FBI Travel, we’ve worked hard to build comprehensive industry relationships around the globe that arm us with expertise, flexibility and control. Africa takes us to a world of spectacular landscapes and animal encounters. What does the wild continent of Africa mean to you? For many, it's a world away from our normal lives - a world where exotic animals roam the grasslands, unique cultures have lived for thousands of years and the landscape remains untouched, preserved and truly wild. This is why Africa is SUCH A SPECIAL DESTINATION - a once in a lifetime opportunity that doesn't compare to many other experiences. FBI Travel Advisors and long-time friends Michelle Adler and Nikki Diamond have been dreaming of a watching an African sunset together for close to two decades. After years of planning, the pair recently lived out their dream by visiting South Africa, Botswana and Zimbabwe together – an adventure packed full of special moments - a trip that they'll remember forever. 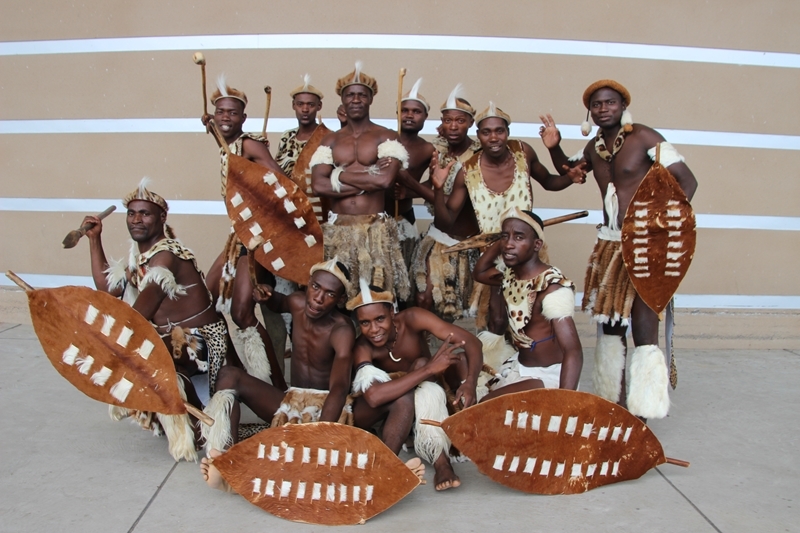 Do you have your own African dreams to live out? Here's Michelle and Nikki's top destinations to discover and explore! Known as the Garden Route, a great place to start your African adventure is the 300km stretch of beautiful coastline which extends from George to Port Elizabeth. Michelle and Nikki flew into George and immediately were struck by the tranquil environment, dotted with high mountains, blue lagoons and serene lakes. Together with their driver (you can self-drive, if you prefer), the pair stayed in Knysna, one of the Garden Route's most famous destinations. Nestled at the bottom of the Outeniqua Mountains, Knysna is the perfect place to base yourself as you explore the surrounding region - regardless of whether your activities are on land, sea or in the air! A short 30 minute drive from Knysna is Plettenberg Bay with it's stunning white sandy beaches where whales can be spotted during migration season (June to November). Just outside of Plettenberg Bay is Birds of Eden Sanctuary, the world's largest free-flight aviary where you can spot many unique African birds - Grey Crowned Cranes, African Grey Hornbills and Willow Warblers, just to name a few. Michelle and Nikki also visited Tsitsikamma National Park - one of the highlights along the Garden Route, featuring everything from coastal scenery and reefs to rivers and lush forest, it's the South Africa that you wouldn't normally expect. Michelle and Nikki stayed at three unique locations in South Africa - Rosenhof Country House in Oudtshoorn, Turbine Boutique Hotel & Spa, Knysna and Founders Lodge by Mantis in Shamwari - each providing a great backdrop to the natural environment. 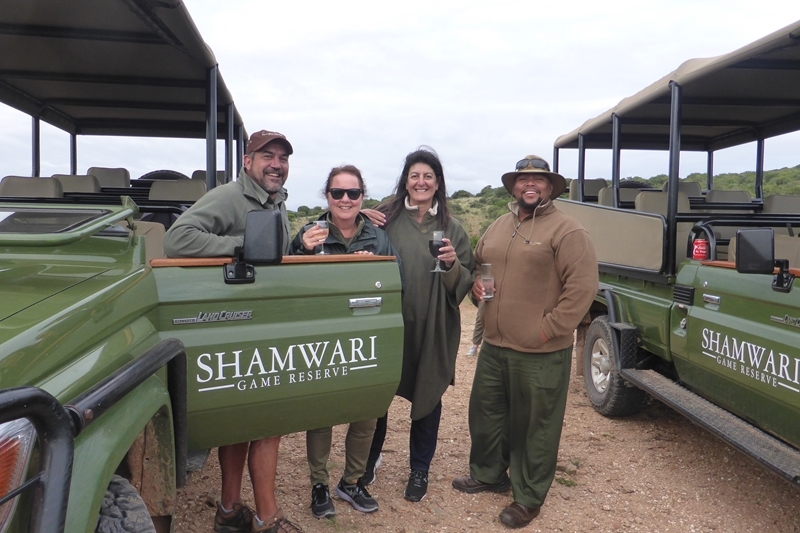 Nikki made particular mention of Founders Lodge, located in the malaria-free Shamwari Game Reserve and just a 90-minute drive from Port Elizabeth. As well as luxurious accommodation, the highlights here are the game drives and walking safaris where you can see Africa's Big Five (elephant, lion, buffalo, leopard and rhinoceros) and a whole host of other wildlife both big and small. "Professional guides drive you throughout the natural habitat where you can see the animals up close and capture very special moments," Michelle explained. "We were blown away by the knowledge of the guides throughout our entire trip. Not only did they provide insight to the wildlife, they understood our needs and personalities to tailor the adventure even more." 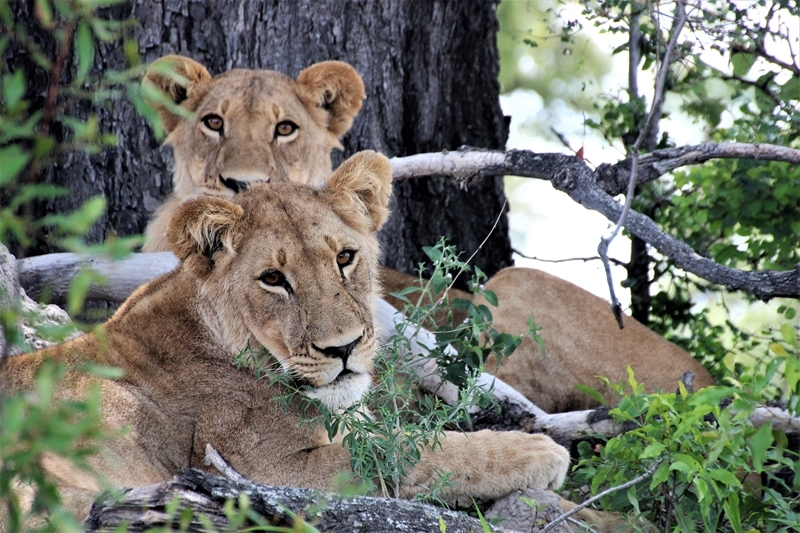 Safaris are a deeply personal adventure, as Michelle and Nikki can attest to. The wildlife, the landscapes, the guides, it all combines to be a spiritual experience that leaves you in awe and with life long memories. 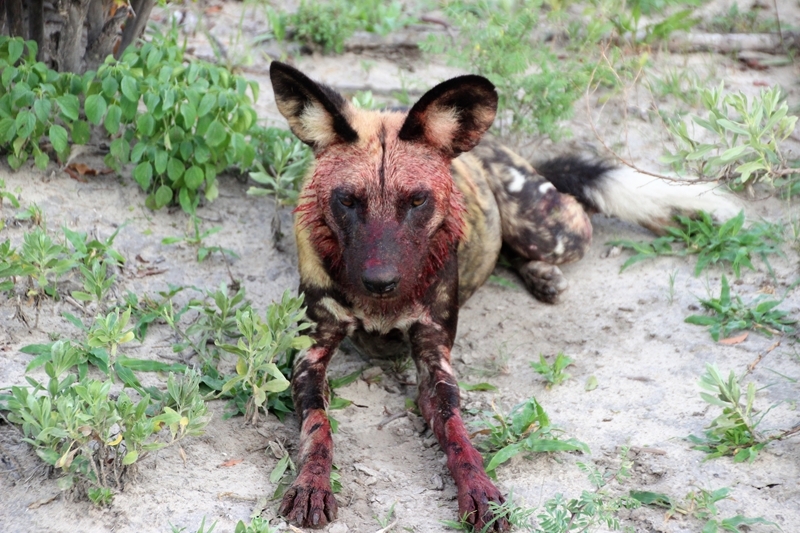 These types of experiences also represent wild Africa perfectly. There are no shopping malls, roads or modern development - it's the Africa that authors and movie-makers have documented for years and an environment that so many of us are dedicated to preserving for the future. Michelle and Nikki flew north from South Africa to Kasane, Botswana on the edge of the Chobe River - a shared border with Namibia. Upon arrival at Kasane Airport, the pair headed straight for the Zambezi Queen, sailing along the winding Chobe River. The 42-metre 5-star river-boat was their home for two nights. "A river safari offers the best of both worlds, you're surrounded by complete comfort and elegance, excellent cuisine with ability to observe the river wildlife from your own private terrace. 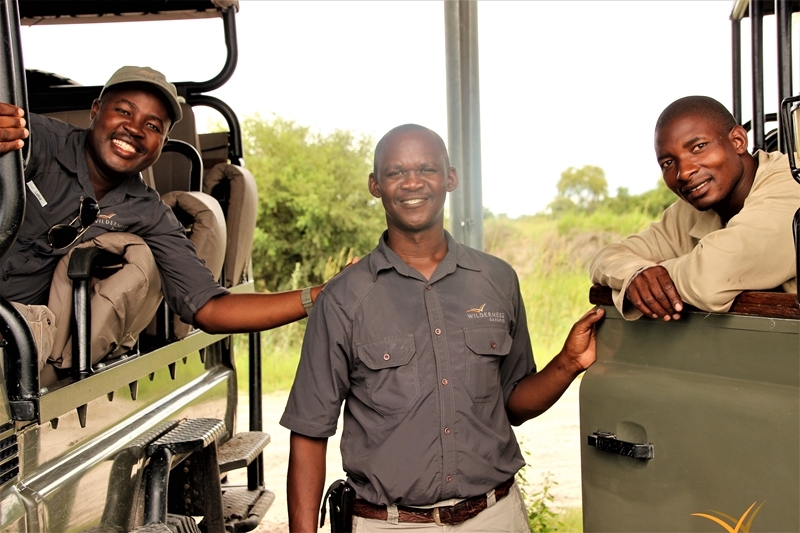 They watched elephants, birds, hippos, crocs - nature is truly on show," Nikki explains. You'll also get to tick off another country, with the Zambezi Queen stopping in Namibia before you're transferred back to Kasane (perhaps save the rest of Namibia for a return trip in the future!). 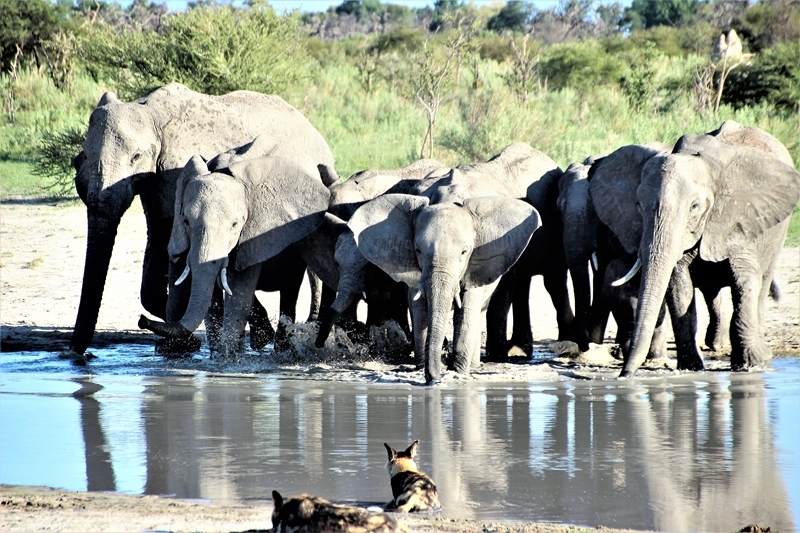 After their time on the river, it was time to explore deeper Botswana. With most accommodation situated on private concessions away from roads, flying in on a light aircraft is the most scenic (and only) option to continue your African adventure. Michelle and Nikki flew above the Okavango Delta to their next luxury lodge, catching incredible and unique scenery from the sky. .
Across Botswana, there are countless permanent luxury camps which offer unique travel experiences. 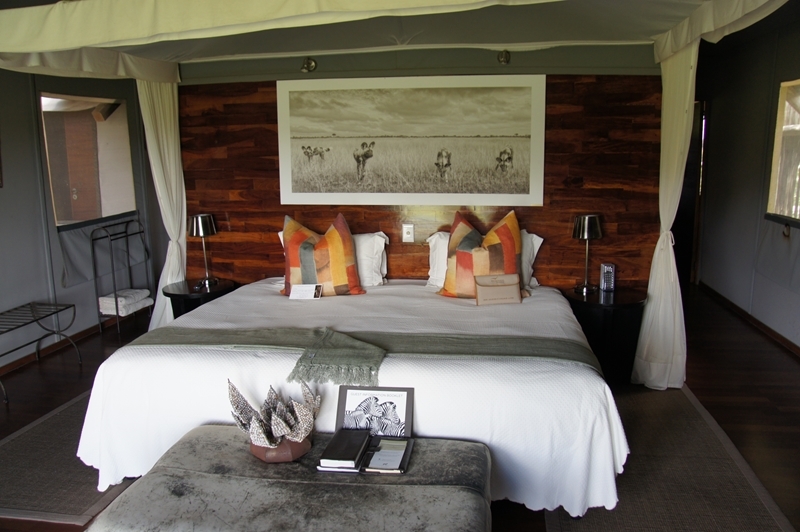 A great example is Duba Plains Camp, which sits in the heart of the Okavango Delta across 77,000 private acres. All rooms are raised on recycled railway sleeper decking and are a modern-twist on African living. Rooms are decked out with everything that you need including your own private pool overlooking the amazing landscapes. 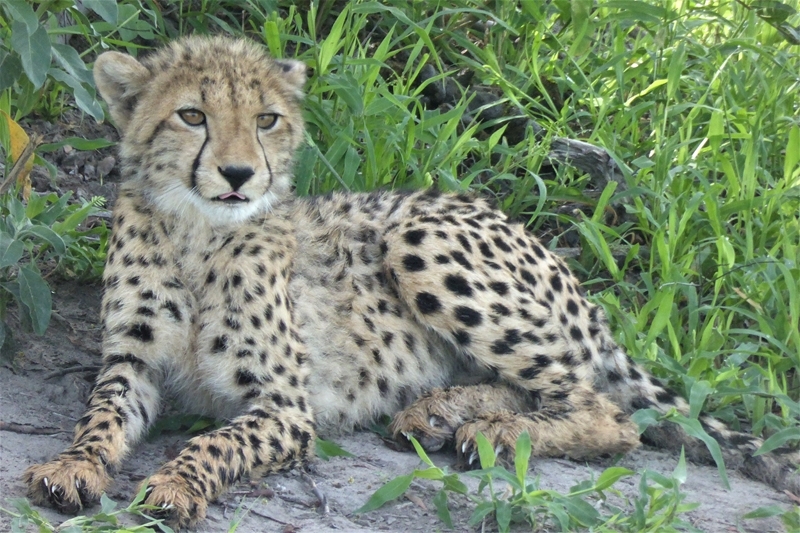 Duba Plains is famous for its unique interaction between the lion prides and buffalo herds as well as the plethora of other African wildlife that call this environment home. 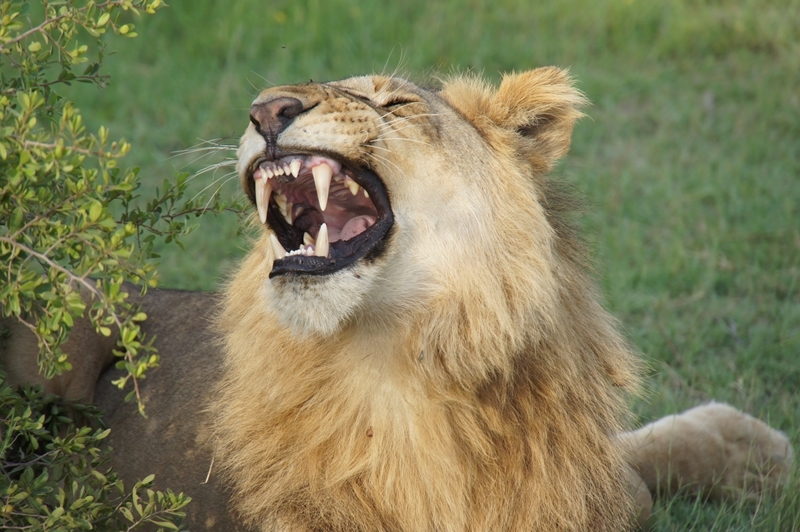 Another great option is Wilderness Safaris Chitabe Lediba Camp. 'Leditba' translates into 'lagoon', with the camp positioned on the edge of a vast watering hole where wildlife come to drink. Luxury canvas rooms are built on top of raised decks which give you the best views from your doorstep and private balcony. 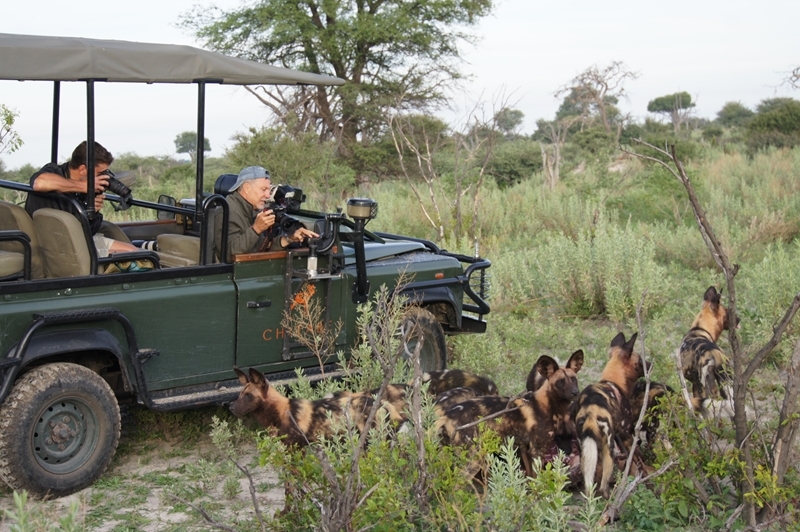 Chitabe offers an all-year game experience with high concentrations of wild dog and lions as well as cheetah, leopard and elephants - Africa's most famous residents all living nearby! Vumbura Plains also part of the Wilderness portfolio and one of their premier camps is located in the heart of the delta. Vumbura boasts luxurious rooms raised off the ground with indoor and outdoor showers and that iconic view of the floodplains from your private pool. Regardless if you're travelling as a family or couple, "Vumbura has outstanding facilities that allow you to enjoy the vista in luxury " Michelle said. 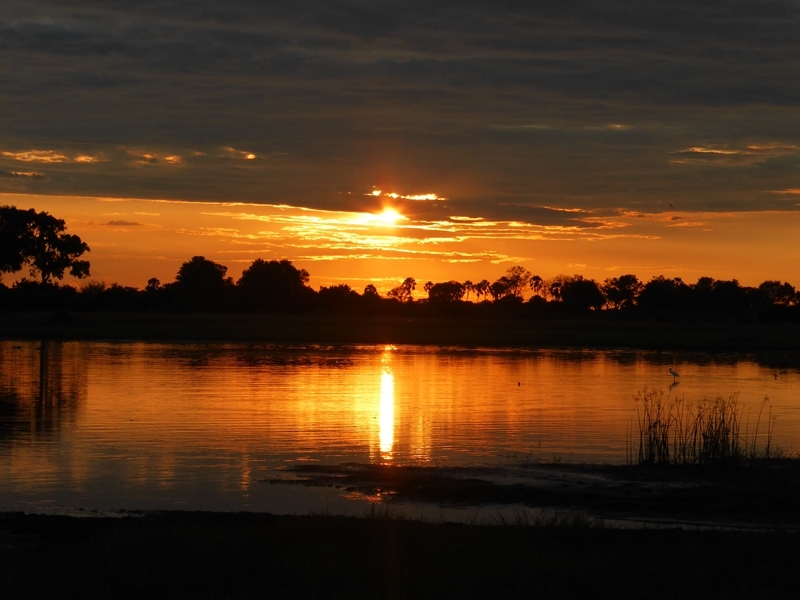 With access to Okavango waterways, wooded islands and floodplains, game potential is huge and you can explore this area year round in an open 4x4 vehicle, on the water by mokoro or on foot - if you dare! After several days exploring Botswana camps, Michelle and Nikki travelled back to Kasane Airport to begin the last leg of their journey - across the border east to Victoria Falls, a UNESCO World Heritage Site, in Zimbabwe. 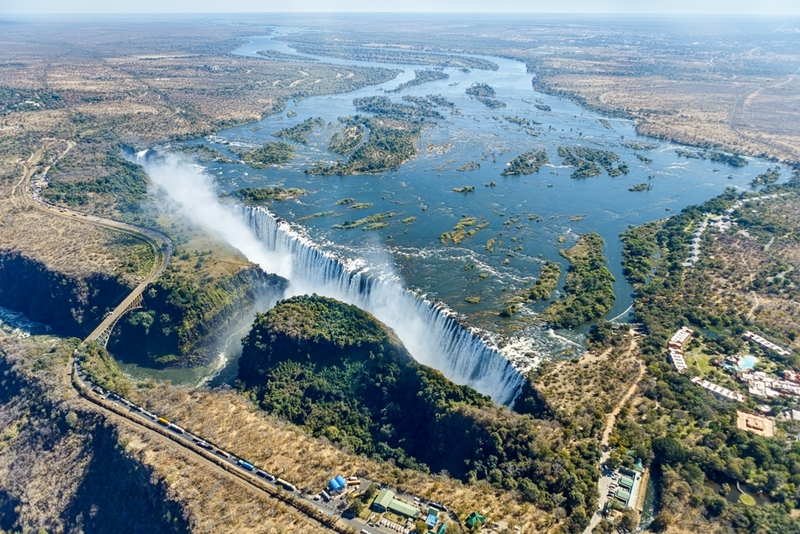 Located on the border between Zambia and Zimbabwe, the 108m-high Victoria Falls is a once-in-a-lifetime experience, the world's largest sheet of falling water cascading down into the gorges below. It's a sound to be heard, the constant thunder of the water bouncing off steep cliffs, hence its other name Mosi Oa Tunya, the smoke that thunders. The Victoria Falls Hotel, opened in 1904, is certainly the place to stay in Zimbabwe - a stone's throw from the waterfall. Don't worry if you walk into the front of the Victoria Falls Hotel and think you've been transported to colonial times, that's just the Edwardian-style architecture that was popular in the early 20th century. A proud member of Leading Hotels of the World, the hotel combines traditional majesty with modern sophistication, allowing you to relax in comfort during your stay in Zimbabwe. "The Victoria Falls hotel is an historic iconic hotel overlooking the Victoria Falls. Views are breathtaking and despite opening in 1904 the charming hotel has evolved over the last century. It has hosted royalty, statesmen and celebrities over its many years," Nikki said. 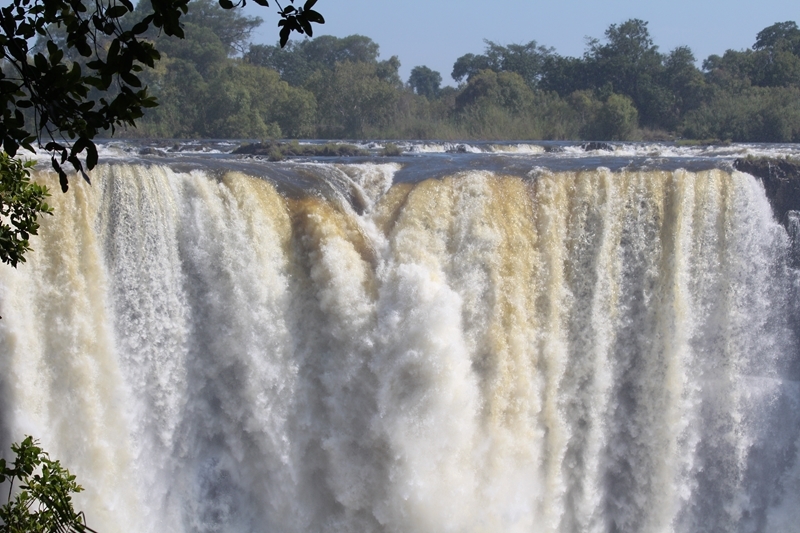 If you have a spare few days in the unchallenged Adventure Capital of Africa, you can participate in various adventure-based activities, enjoy a whitewater rafting trip down the Zambezi River, soar through the skies on a bungy jump or even take flight in a helicopter and get an aerial view of Victoria Falls and neighbouring Zambia. Southern Africa has postcard moments around every corner. From the vibrant mountains of the Garden Route in South Africa, through to the rich floodplains of Botswana and rush of Victoria Falls in Zimbabwe, it's a never-ending list of once-in-a-lifetime experiences. Of course, to see it all, planning is key. With the help of Michelle, Nikki and the team at FBI Travel, we can deliver an itinerary that suits your lifestyle and desires, while also complementing your travel season. Together with our many partners, you can enjoy a Southern African escape with a difference, taking it easy on the game drive or getting your blood rushing with a bungy jump - the choice is up to you! So, are you ready for a trip of a lifetime, a holiday with a real difference? Feel free to contact your local FBI Travel Advisor to start planning your African adventure today.